"Most people don't know that even if they don't need glasses, they still need eye exams to check for diseases." Thanks to our new partnership with the Mindful Eyes Foundation, we are now offering vision services every 2nd and 4th Wednesday of the month from 5:30pm to 7pm. Clients can drop in for free over-the-counter reading glasses, new prescription glasses (with a valid prescription), or a vision screening. The Mindful Eyes Foundation was founded by Dr. Christina Hoff, an Associate Clinical Professor at the UC Berkeley School of Optometry. She is also a faculty advisor for the Suitcase Clinic and Optometry Business Management Club. 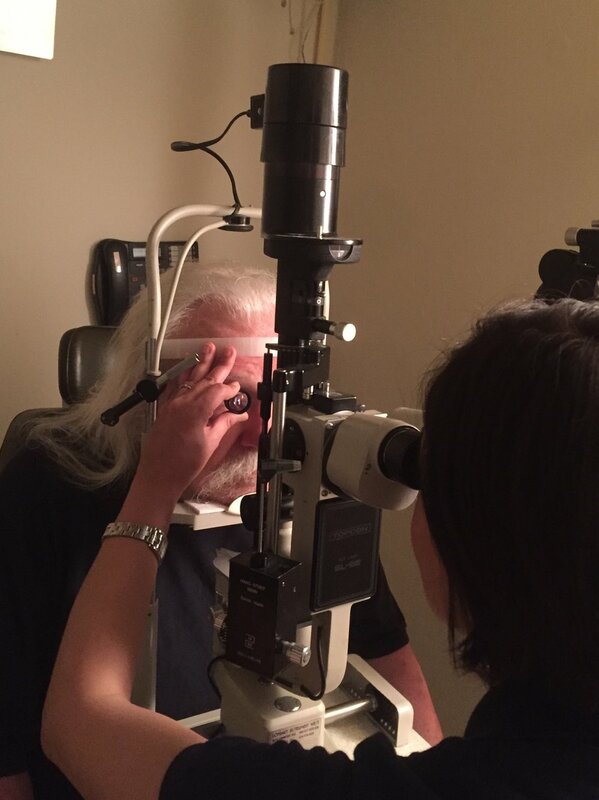 While Mindful Eyes does not provide prescriptions for eyeglasses or contacts, UC Berkeley Optometry student Amy Wen is on hand every Wednesday evening to provide vision referrals for any additional services our clients may need. Amy is collaborating with the clinic through the Schweitzer Fellowship. Most of her work involves referring clients to the nearby Suitcase Clinic for eye exam vouchers, or helping clients find optometrists who take Medi-Cal. While Medi-Cal covers eye exams, it has not covered glasses for adults over 21 since the financial crisis in 2008. Besides lack of coverage, Amy says, the next greatest issue she works to address is lack of awareness. "Most people don't know that even if they don't need glasses, they still need eye exams to check for diseases. If you catch it early, you can treat it and prevent vision loss from ever happening."